You'll be surprised at how dirty your leather actually is. Specially designed to dig deep into the grain of leather and remove all signs of dirt. Our Purity Leather Cleaner comes with an aroma not found in our other products. 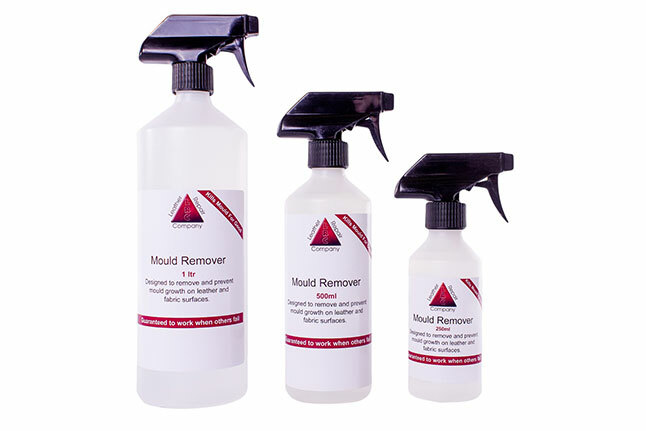 No scrubbing required, simply spray on and see it removing the mould as its works. For use on many different surface, not just leather. Aniline leather is the most natural leather around with Its beautiful characteristics. Has a powerful cleaning action that helps rehydrate your leather, to help prevent cracks and dryness appearing, has a great leather aroma. 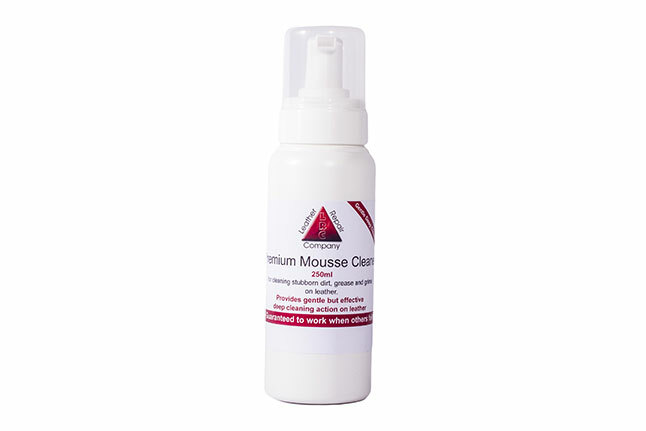 The Aniline Mousse cleaner is a water based product that turns to a mousse foam when dispensed from the bottle. 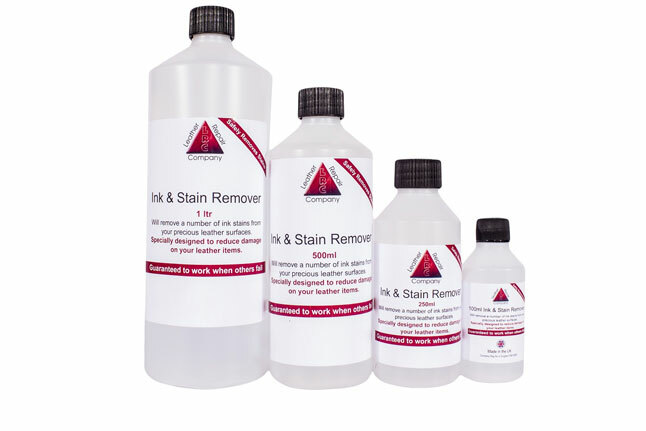 The Ink & Stain Remover has been designed to remove all types of stains from coated leather surfaces, without causing damage to the coating. 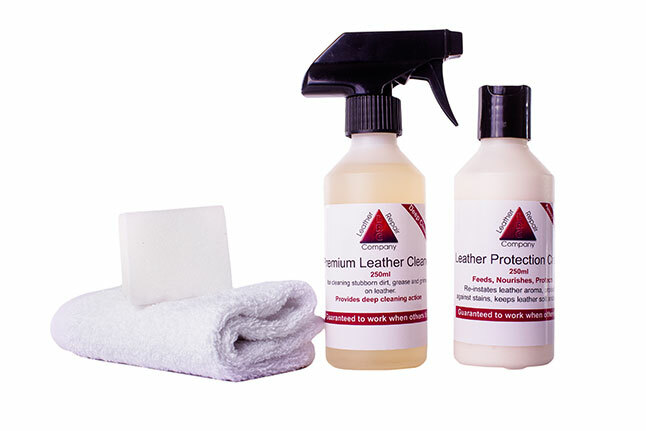 Leather Clean & Protection Kit: All In One – Deep Cleans & Provides Intelligent Protection. 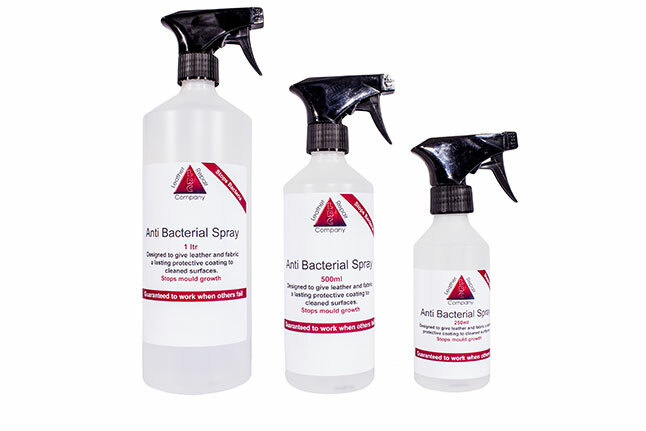 Fast acting powerful AntiBacterial Spray that germs hate it kills them in their tracks to stop them spreading.